The definition of success is relative. For some success means achieving wealth beyond measures, for other it means helping and saving humanity with whatever means are available at disposal. People set their goals of success and then put all their efforts in pursuing those goals and try to go to every extent possible in achieving those goals. For a Muslim the definition of success revolves around doing anything that results in pleasing Allah Almighty. A Muslim has to stick to the path of righteousness in order to develop a strong relationship with Allah. Once the relation is developed, the ultimate result is a Muslim achieving success both in this world and in the world Hereafter. The lines below discuss 7 habits that a Muslim should adopt in order to be a successful Muslim. Being true is one of the core habits that every civilized society appreciates in its members. When people adopt truthfulness, it actually means that they have laid the most important foundation stone upon which they are going to construct a building of great character. This hadith speaks of the benefits and rewards of being truthful and the vices of being a liar. Those who consider paradise as their objective of success can get great information about achieving their goal from this hadith. In order to successfully achieve their goal, all they have to be is truthful while following Islamic way of life. When they are truthful, they set the course of events in such a way that ultimately leads to paradise. Therefore, a Muslim must incorporate the habit of being truthful in his or her life in order to grow closer to Allah successfully. If you do not know how to read the Holy Quran in Arabic, you can Join Quran Reading Academy to improve your recitation skills. From the ayah it is clear that being trustworthy is one of the Sunnahs of Prophet Muhammad (PBUH) and every Muslim knows that following His Sunnah always leads to success in both the lives. Therefore, for a Muslim it is imperative to adopt and grow qualities that make him or her trustworthy in life. From this ayah it can be deduced that the practicing patience and self-restraint results in a person receiving goodness and great fortune as a reward. Therefore, the success in the form of goodness comes to all those who are patient and practice self-restraint. Therefore, a Muslim must also learn from Quran the things that need to be avoided and whenever the temptation rises, he or she must resist it by practicing self-restraint. The reason why we as humans are not able to stick with the right path or do anything good in our life is that we do not pursue it with thoroughness. The term ‘thoroughness’ here means aiming for perfection. When one sets perfection as an ideal, then the least he or she could achieve would be better than setting something ordinary as an ideal. It was one of the Sunnah of Prophet (PBUH) that He was perfect in character. Therefore, every Muslim must try pursuing perfection, as the pursuit of it leads to a person becoming good in character and achieving small milestones in the way successfully. From the ayah it is clear that those who humble themselves in prayer will eventually win. If this ayah is seen from the perspective of focus, then humbleness in prayer is something which one only achieves when one is focused. The more focused one is during prayer, the more he or she realizes what prayer is and the more he or she grows humble. Therefore, if a Muslim is to win, then he or she must undertake every task in life with complete clarity and focus. You canread this article discussing about improving concentration while offering prayers. In addition to pointing the importance of prayers, this hadith also highlights the importance of offering Namaz on the given time, in other words it highlights punctuality. In order to be successful in worldly as well as religious life, a Muslim has to be punctual in every aspect of life and value time. Therefore, a Muslim must be conscious of the commitments with regards to time and adhere to them strictly. In a nutshell, every Muslim must try making the aforementioned attributes as habits. 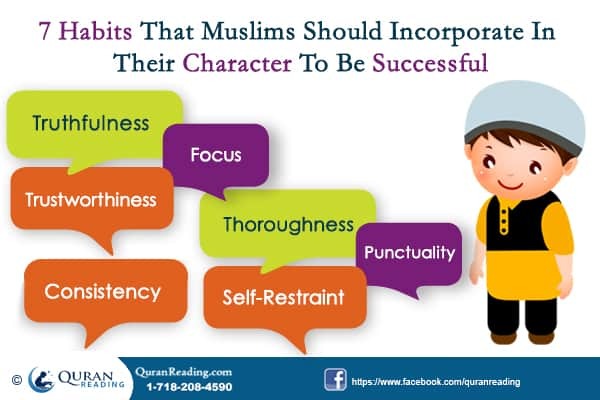 Once a Muslim makes these attributes as habits, the ultimate result is he or she achieving success with balance in this life and in the life hereafter as well. Allah SWT has created humans in the most desirable manner which is why they are known as the Supreme Creations. A man is given enough conscious to make its own decisions as the brain of a human being is the most highly developed. But that does not guarantee that they are perfect in every sense. Over the course of history of mankind, it has regularly fallen in wrongdoings and transgression from the Almighty Lord`s commandments. That is the reason why the Most Gracious has sent His Prophets to guide their respective nations mainly to make them realize about Oneness of God. The above mentioned Ayah shows that man has always been associating false gods with the Most Merciful, Who has clearly declared that this one offense is not tolerable in His court on the Day of Judgment. It means that Polytheism is the biggest of the misdeeds as it is directly opposing the Greatness of the Almighty Lord. And also that other sins apart from that could be pardoned by the Most Compassionate. It is also commonly observed that people tend to publicly ridicule the wrongdoings of others when they come to know about it which is not a likeable action according to Islamic teachings as Allah SWT is the most Rightful Judge of all. It means that it is in human nature that a man has to carry out crime at some point in life because Allah SWT has given Shaitaan enough power to maneuver thoughts and actions. But that is not all; He has always awarded us with sufficient degree of awareness of the right and wrong and has made it clear that He listens to our requests for clemency over sins all the time as discussed in the previously stated Hadith. The above mentioned Hadith clearly suggests that feeling sorrow when one has committed a wrongdoing and asking for Allah`s Clemency is almost equal to a state of purity. 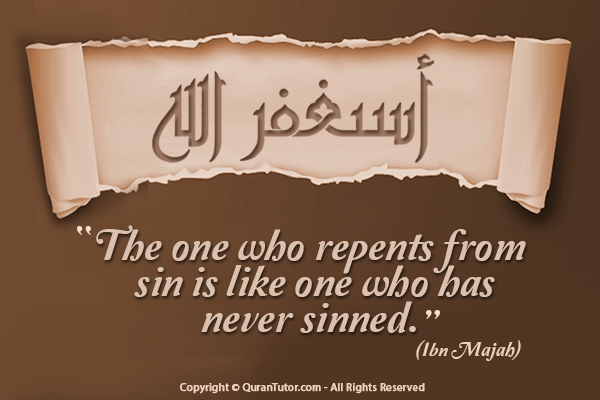 It means that the Almighty Lord readily forgives all the sins of a person that one asks His Mercy for. If a mere suspicion over others` conduct is a crime, then one can imagine how much a bigger sin publicizing others` transgressions will be. It is because there is only One God who knows what is present in the hearts of His servants. It may well be possible that we hate on a certain individual for his offenses, but the Most Merciful has already pardoned him because of his repenting over sins. In short, every one of us should avoid from taking pleasure in discussing personal matters of others and leave them in the hands of the Creator of the universe, knowing that He is the Only One worthy of judging His servants. Islam is one of the fastest growing religions of the world. Every day in some part of the world there are people converting to Islam. The number of Muslim converts is increasing with a greater pace in the West because of the increasing awareness among people about Islam. Therefore, all those who have done their research on Islam and want to enter it look for the right way in converting to Islam. 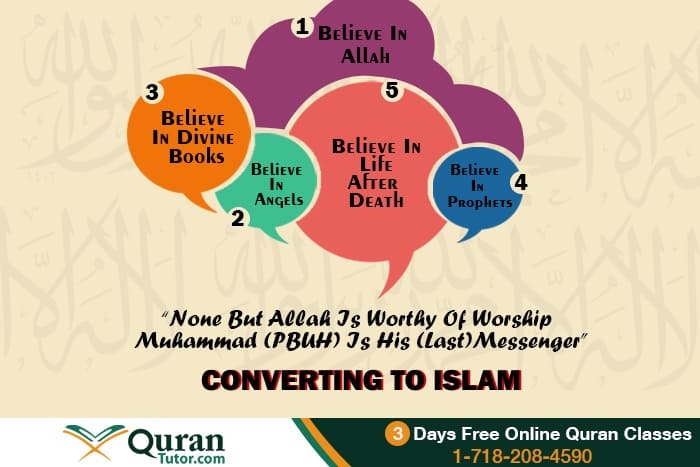 The people who wish to convert to Islam need proper guidance because it is a life changing process and there are a certain set of rituals or activities that need to be performed in order to enter into the circle of Islam and proclaim to be one of its followers. Before moving on to the way a person should convert to Islam, a soon to become Muslim should have an understanding of the essence of Islam. The lines below firstly discuss the importance of Islam for a Muslim and secondly the way a person should convert to Islam. In order to read Quran in Arabic, Muslim Converts can avail services of Quran Tutor now to improve Quran reading skills. From this ayah it is clear that whoever enters the circle of Islam, he or she knows one thing for sure and that is the fact that there is no one worthy of worship other than Allah Almighty. Therefore, every entrant in Islam knows that he or she is to worship Allah Almighty only. This ayah is a clear vindication to the fact that those who do not accept Islam or stay on some other religion other than Islam, none of their excuses will be accepted in the Hereafter when they gather in front of Allah Almighty. At that time people other than Muslims would be in the loser category and would have no hope for a better life in the Hereafter. For a person who wants to seek truth, who wants a better life in this world and a better life hereafter, the best option is to convert to Islam. This conversion needs to be done in a specific way the detail of which is discussed in the following lines. The conversion to Islam is a simple process, where there are a few things, which a convert has to proclaim from tongue, and others, which do not require proclamation, but they need to be believed in the heart. This proclamation of Shahada is what officially enters a person into the circle of Islam. If the words of Shahada be analyzed, it can be divided into two parts. The first part is related toproclaiming that Allah Almighty is the only God. Believing in Allah along with other gods does not qualify for Shahada and hence no one can enter Islam with this belief. Therefore, when proclaiming Shahada a convert must remember that he or she is denying the existence of all the other gods that other people believe to be present and only Allah should be regarded as the God. The second part of the Shahada is the acceptance and acknowledgment of the Prophecy of Prophet Muhammad (PBUH). A convert cannot become a Muslim and his or her proclamation is not complete if he or she does not believe in Muhammad (PBUH) being the Prophet of Allah, regardless of whether the convert believes in Allah. Therefore, the believe in Allah has to be complemented with the believe in Prophecy of Muhammad (PBUH) in order to complete Shahada and convert to Islam. Believe in Allah – Believing in Allah Almighty. Although it is a part of Shahada as well, however, it does not mean that one needs to say it from tongue only and there is no need to believe in the heart, rather this should be acknowledged at both the places. Believe in Angels – Believing in the angels as the creation of Allah Almighty who are servants to Him and carryout His orders. 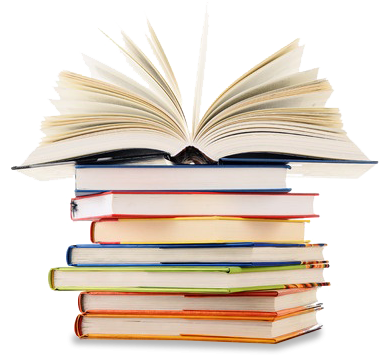 Believe in the Divine Books – Believing in the Books that Allah Almighty has sent down for the guidance of humankind. A Muslim is naturally to believe in Quran as a book of guidance, however, he or she is also to believe in the other Books that Allah Almighty sent upon other Prophets for the guidance of their respective nations. Believe in the Prophets – Believing in all the Prophets that Allah sent down to preach the message of truth. A Muslim is to believe in the Prophecy of Muhammad (PBUH), however, like Books, he or she must also believe in the other Prophets that were sent in earlier times for guidance of mankind. Believe on the Judgment Day – Believing in the life Hereafter is another element of Muslim faith. A Muslim must believe that a after this life there is another life where all will be held accountable for the deeds they committed in this world and should be given an eternal reward. Believe in Fate – Believing in fate is another element of Muslim faith. In Muslim faith there is good and bad fate and both are from Allah, therefore, one must also accept the role of fate in life in order to convert to Islam. Believe in Life After Death – The last thing that a person must believe in heart in order to convert to Islam is in the rising up after death. A convert must believe that after this life he or she will rise again and that will be the eternal life. In a nutshell, converting to Islam is one of the greatest blessings of Allah Almighty. When converting to Islam a person must proclaim by saying the words of Shahada out loud and in his or her heart they must believe in the other major elements of Islamic belief to get closer to Allah Almighty and be officially called a ‘Muslim’. Salah is the major form of worship that a Muslim offers five times a day regularly. It is an obligation upon a Muslim and a Muslim is to offer no excuse when it comes to offering Salah. The offering of Salah in addition to representing the submission of Muslims to their Lord also has other benefits as well which are highly cherished by every Muslim. 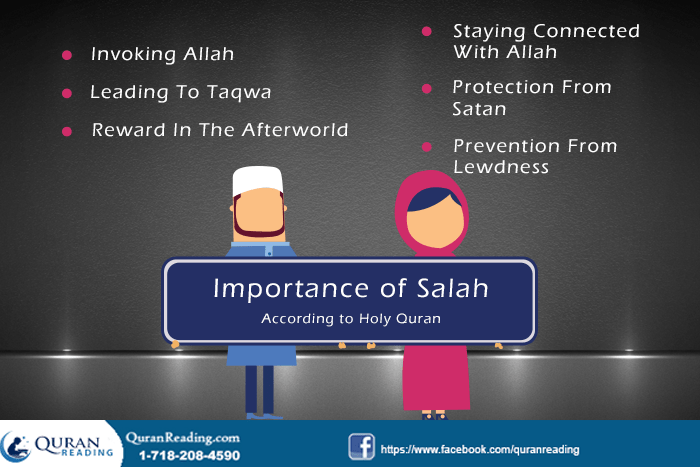 The establishment of Salah is one of the major topics upon which Quran has emphasized more than anything else. In Quran Allah Almighty has stressed upon Muslims to learn to offer Salah regularly and with mentions of offering Salah Allah has also mentioned its benefits with it as well. The lines below give the major benefits of Salah that elaborate the importance of Salah. Therefore, a Muslim must use prayers as a means of invocation and ask Allah Almighty for help and assistance in any difficulty or worry. Therefore, in addition to giving charity and believing in the unseen, a Muslim must also establish Salah in order to move towards Taqwa. Therefore, prayer is not something that ends in this world, rather the real reward of it will come to surface in the afterlife. Therefore, not offering prayer is actually falling into the prey of Satan, whereas those who try to offer and establish prayer are actually resisting his temptation and when these temptations are resisted for long the result is one not falling prey to Satan ever again on any forefront. Therefore, a Muslim must consider Salah as an effective weapon when it comes to fighting lewdness and evils of all sorts. 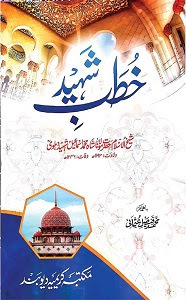 In a nutshell, those who learn and read Quran on regular basis are familiar with the importance of Salah and how strongly has Allah Almighty emphasized on it and explained its importance to the people in Quran. A Muslim must realize that above anything, Salah is an obligation and every Muslim has to fulfill his or her obligation.